An international manufacturing company who produce metal components for a range of industries are looking for a driven, dynamic and experienced Production Supervisor / Cell Leader to take control of their own team and bring their own ideas. This role suits someone who is highly adaptable, hands on, ambitious and multi skilled. Experience in Aerospace manufacturing is a big advantage. You would be using your experience leading a manufacturing team to manage day to day production activities in terms of safety, quality, delivery, cost and general plant efficiency. You would use your man management skills to coach, mentor and develop production and maintenance teams. You will ensure all manufacturing targets are achieved and that customer commitments are met. The management of the maintenance team to ensure that downtime is minimised will also be an important duty, as will liaising with the HR Department in respect to sickness absence, discipline, performance management. Most importantly you will be expected to take ownership of your team and really stamp your own influence. The ideal candidate is an experienced Production Supervisor from an aerospace manufacturing background, who is skilled in multiple production methods and has a track record in continuous improvement (Lean, 5S, 6 Sigma). This is very fast paced company, new and bespoke products are being launched all the time, you must highly adaptable and be skilled in machining, polishing, forming and welding to keep up. Those with a background in only the Automotive Manufacturing are likely to struggle in this role, wider experience of various production and manufacturing techniques is required. So, what's on offer? As well as the chance to take ownership of your own team and progress to Production Manager, there is a basic salary of £30k - £38k. There also a 6% matched pension, 5% bonus and 25 + 8 days holiday. 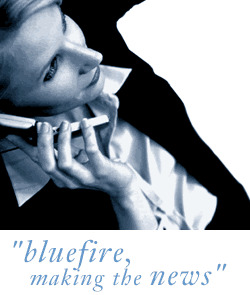 Bluefire Consulting is an equal opportunities Employment Business/Agency specialising in Aerospace recruitment on a UK wide basis.